personally, I love my job. But after going through Bolles, process and developing my ‘flower’ I see there is room for me to grow professionally. I know I’m not done learning and there are somethings I’d really love to do and combine my passions for fashion, ethically made, and travel. And realizing these are not separate passions but that can become one single passion and possibly a future job opportunity get me really excited. 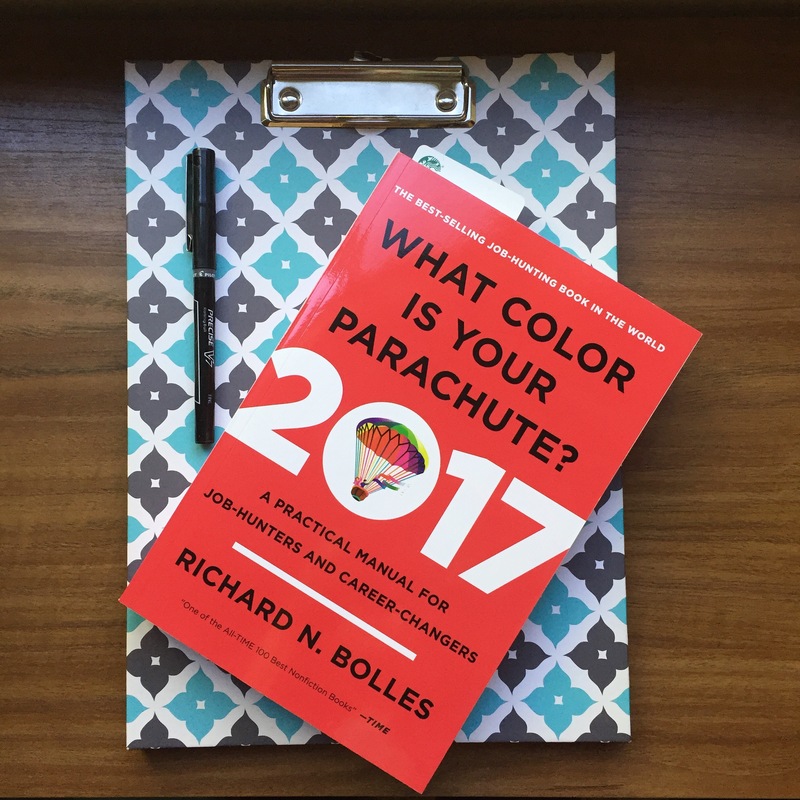 So, part of the What Color is your Parachute? is developing your flower, a 7 point image diagram with things that make you, well you. Bolles begins with job searching in the modern job market and proper resume and interview etiquette then dives into this huge process. Once it’s completed you are not only ready for any question at an interview, you can theoretically pitch yourself to a company that may want to hire you for a position that may not currently exist. I’m not sure I’m that brave but it is a tempting thought. So while, I’m not sure what color my parachute is. I like to think it’s hot pink and lemon yellow…I feel more confident about my purpose in life and knowing it’s in line with the things I love.